A post of the musically inclined might make it's appearance... you know, just trying to keep you on your toes! But enough of the rambling... moving on to another easy DIY project using my endless supply of twine (check out my heart bunting!) and some lovely streamers. You may have guessed based on yesterday's post, my love for rainbows may have also influenced this one. I think it might have also been influenced by the fact that the weather here has been absolutely grey and horrible and so I felt that a little color was desperately needed. It's amazing how a few strands of colored streamers can literally brighten up a room... along with my spirits. I have a feeling this garland will be lingering in the kitchen well into April. 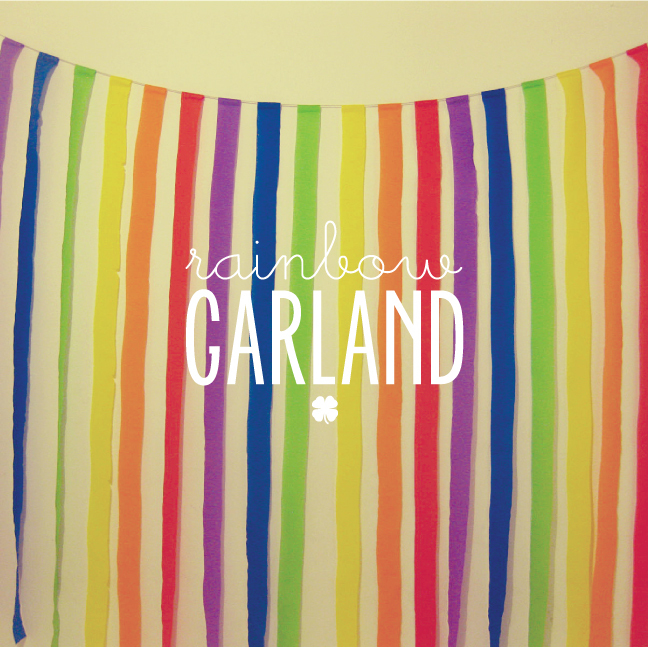 Rainbow Garland, make as long as you want! 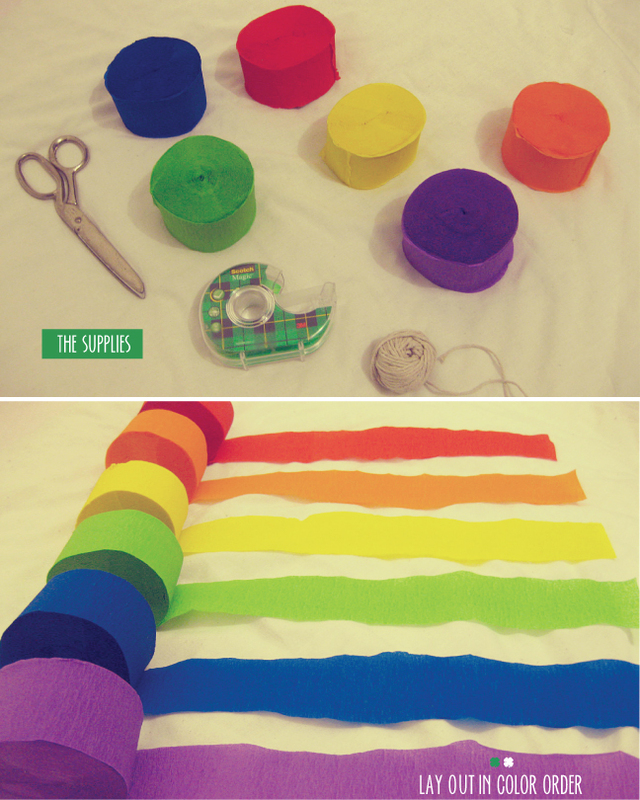 Cut 24" strips of streamer in each color, as many times as you need for your space. I did three streamers per color, 18 streamers total. Arrange them in the order you want to tape them down in. I opted for the traditional (from left to right) purple, blue, green, yellow, orange, red, but feel free to play around with the order. 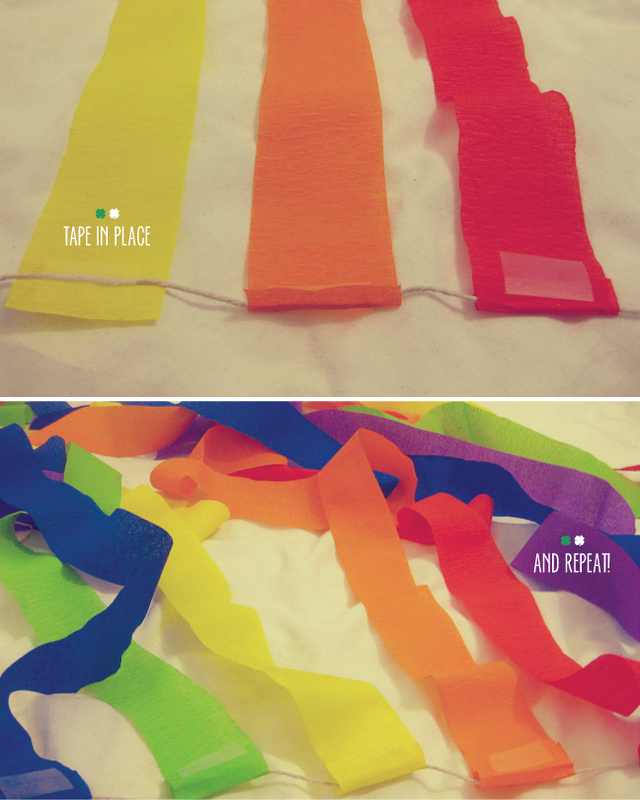 Place the twine going across the evenly spaced out strips of streamer, one inch from the top, and tape them down. Fold the top of each streamer over the exposed twine and tape down again. This will help make sure the streamers are attached firmly and stay in place. 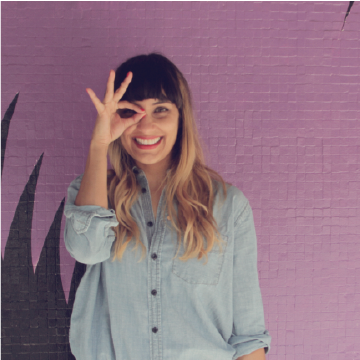 Tape the ends of the twine to a wall of your choosing and ta-da... it's that easy!